Walking For Weight Loss - Effectively Melt Off Your Unhealthy Body Fats! Learn how to elevate your metabolism to fat-burning levels and build muscle the easy way with the walking for weight loss course. 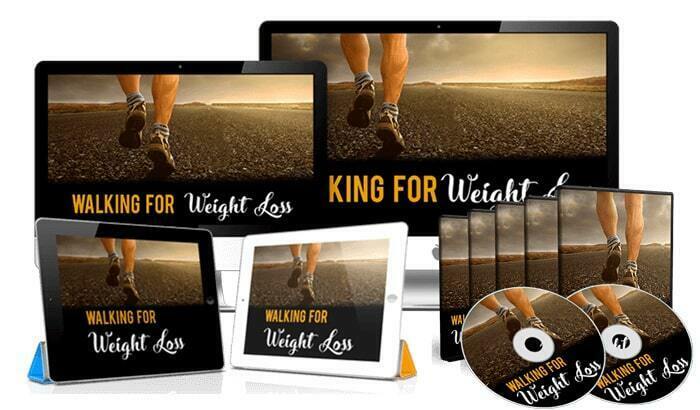 This video presentation could be the ultimate ticket to a slimmer, and healthier you. I’m going to show you how I finally lost my love handles and built lean muscles. I did it without any risk of injury. It also took me only 1 week to see results in the mirror. After only 4 weeks on the program, I had to go and get myself a pair of jeans that didn’t slip off my waist! This method is so effective that anyone can do it. Best of all, it’s so EASY to do! You will finally feel comfortable in your skin and feel a radiating energy that anyone can see. You’ll feel so alive and youthful that you might be tempted to try the things you’ve always been afraid of. In today’s society, it’s easier to be fat than it is to be healthy. Food companies pump out products filled with sugar to get you hooked so they can make a dollar. While problematic, you can still avoid these sugar bombs by practicing due diligence. What’s worse for our health… is the corporate workplace. We sit all day with our backs hunched over a keyboard while our legs go to sleep. Compare that to primitive tribes like the Masai who would walk for 6 to 16 miles every day, you can see how our society is almost designed to make us fat. When that need is not met, we become fat. Sitting has been found to be terrible for our health. In fact, scientists have compared sitting’s effects to be similar to smoking. It keeps you locked in a bad posture and reduces your mobility. You are in a position without movement for hours. Since your body runs on a “use-it-or-lose-it” rule, it will start losing muscle mass, bone density, and mobility. Like a car with a bad engine, a chronic sitter starts to suffer low energy levels, bad mood, and a slow metabolism. If you think going to the gym a few hours a week is going to reverse the effect, then you are dead wrong! Luckily, you can learn from our ancestors and start bringing your body back into its movement-loving state. Once your body is in this state, you will experience high energy levels and high metabolic rates. Imagine the energy you will have once you start losing all that weight and start building muscle. Imagine getting compliments on your looks and catching strangers checking you out. My entire research and study on the benefits of walking and how it can melt off your body fat. It’s your chance now to burn off the love handles and become a fitter, healthier and more attractive you! “Walking for Weight Loss” is your go-to Masterguide on burning fat and building muscle the easy way. This technique will work your whole body in unison, elevating your metabolism to fat-burning levels. 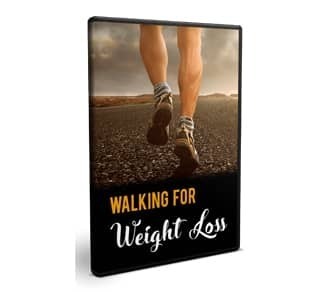 You Get 8 Premium Quality Videos of Walking for Weight Loss! Find out the walking technique and the easy to prepare diet that will finally bring the body you want. Everything in this course has brought me and many others results. The Walking Technique That Will Help You Burn Fat While You Sleep! 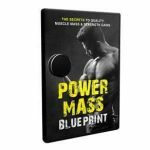 The Mental Strategies That Will Transform You Into An Energetic Machine Bursting With Life. Everything in this book works. I saw the results of it in just a week. A checklist containing step-by-step actionable guidelines that will make weight loss a walk in the park. A ‘visual’ interactive mind map outlining everything you are going to find throughout the entire course. So what are you waiting for? Your health will not get any better without action! I’ve helped countless numbers of people using this amazing blueprint. Please… do yourself a favor and try it out. I know you’ll be amazed! A healthy and fit body is not as complicated as it seems. You can look good in beachwear too. Your health and life matters, so don’t sit on your hands.